A Facebook comment has prompted this short post on how to improve the canter to walk transition. Question: I can get walk to canter easily, but cant get a relaxed canter to walk, any tips? Answer: It could be a strength issue for both you and your horse and you will need patience to perfect this. Your horse needs to carry much more of his own weight onto his hind legs and your weight also, into a forward transition to walk. He will find it tricky if he has not built up sufficient strength gradually over a period of time. To help your horse develop the strength and balance to perform crisp canter-to-walk transitions, perform the exercise on a large circle. In this instance, good very much begets good. You will not get a good walk unless you have a good canter. The canter should be relaxed and forward before you ask for the walk transition. If the transition is rushed, walk until you are happy with the quality of the walk, only then ask for the canter. Repeat the process, with the goal of shortening the interval between transitions. 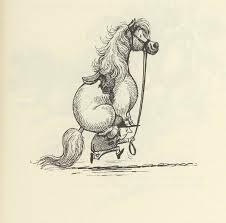 At first it might take several circles of the canter before you are ready to ask for the walk and vice-versa. It will also take several weeks of working on this exercise for a few minutes during each ride, before you will have built the horses strength to be able to consistently canter a half circle and walk a half circle. For you it is a matter of ensuring that you are using your core strength to hold yourself up and keep out of your horse’s way whilst he does what is asked of him in the transitions. Often riders collapse through the middle which shifts their weight and centre of balance forward, hindering the horse’s ability to sit. But at least you don’t have to carry his weight too! Be patient, it will come.